Hyundai showed off its Elevate project on the eve of the Consumer Electronics Show gadget extravaganza, billing it an unprecedented "Ultimate Mobility Vehicle" that combines technology from electric cars with robotics. 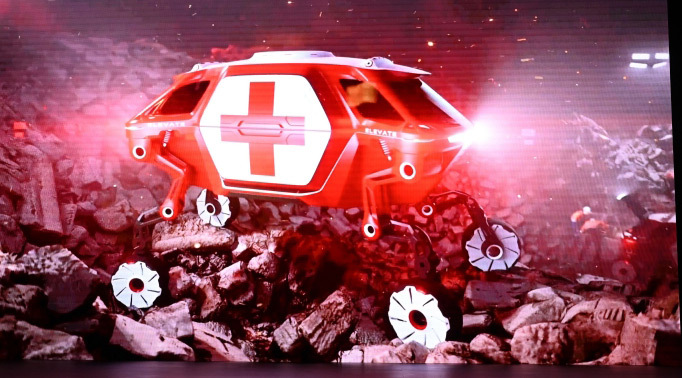 "What if a car designed with robotics could save lives in disasters," said Hyundai executive John Suh, who heads a Cradle arm of the company devoted to innovation. "The need for search and rescue, and humanitarian aid, is growing around the world." "This design is uniquely capable of both mammalian and reptilian walking gaits, allowing it to move in any direction," Hyundai said in a release. "It can go where no vehicle has gone before," Suh said. "This technology goes well beyond emergency situations - people living with disabilities could hail an autonomous Hyundai Elevate that could walk up to their front door, level itself, and allow their wheelchair to roll right in," Suh said. 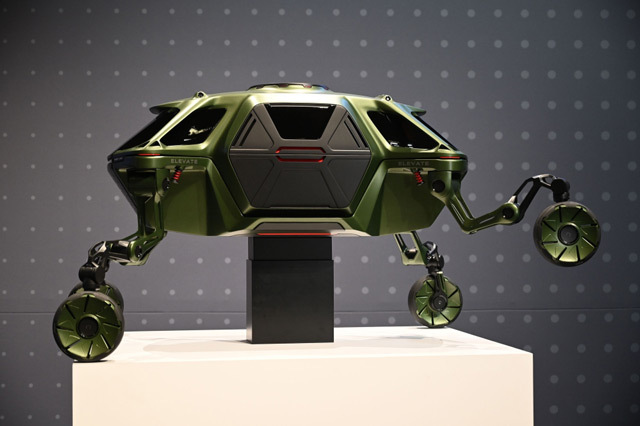 AutoPacific market research vice president Daniel Hall considered the Hyundai project "interesting," noting that while robotic vehicles are already used by the military to deal with bombs "climbing obstacles in certain situations can be helpful."